The concept of restraining devices is an ancient one that dates back to pre-Medieval times. The hands and feet of those deemed to have done something wrong were often bound so that the suspect could not escape custody. Aside from criminals, slaves were also bound so they could not run away from their masters during long journeys. From intricate rope to primitive metal rings, handcuffs came in a variety of forms unlike the simple contraptions we see today. 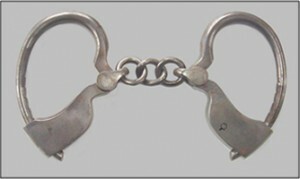 In modern times, the world of antique handcuffs is one of fascination for collectors everywhere. 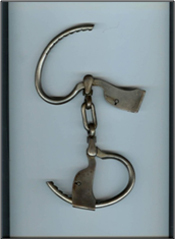 Although we are used to seeing restraining devices with a lock-and-key contraption, many older versions did not always come with this type of mechanism. Ancient handcuffs often consisted of bent metal rods that fit snugly around the wrists. They were then held together with a short chain – preventing the suspect from separating his limbs. Cuffs are usually made of various metals, including carbon steel and aluminium. If you’re interested in cuff collection, it usually means you have a passion for history and are curious about our justice system and perhaps even the treatment of slaves. Although antique handcuffs can seem frightening, there is a wealth of knowledge to be acquired by examining the concept of restraint. Meanwhile, these collectibles also make for great investments. It’s not rare to see vintage cuffs triple their value over a steady period of time!